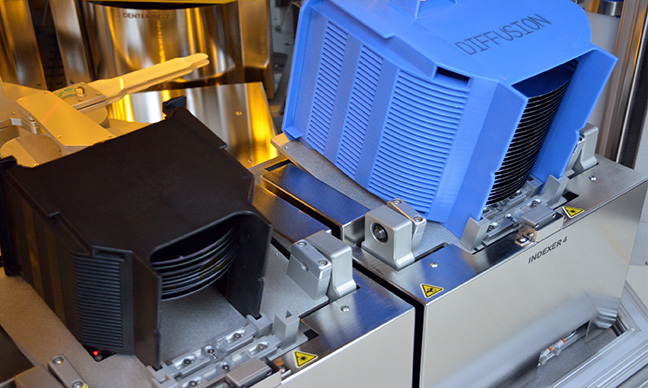 Options for High Volume Production | C&D Semiconductor Services, Inc.
At C&D Semiconductor Services, we pride ourselves on the ability to fully customize each tool to cater specifically to our customers’ needs. 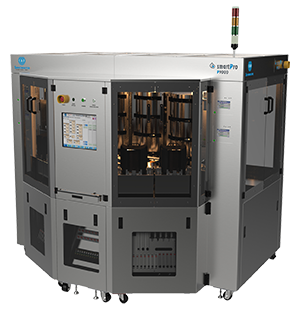 Sometimes, this means fitting as much production capacity as possible into the alloted footprint to create a tool that can meet the high numbers of wafers required by some of the most demanding production deadlines. 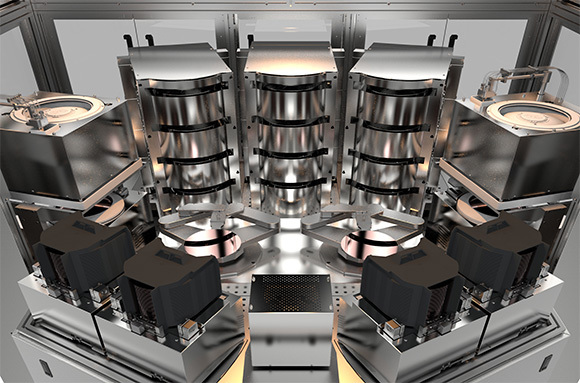 To satisfy this demand for increased throughput, C&D has introduced these additonal options into our P9000 family of tools with HVM and ultra-high throughput capability in mind. Dual Centralized Robot capability allows each tool to maximize footprint efficiency. Two robots simultaneously running a total of four end effectors. Stackable Modules allow for better footprint efficiency by utilizing the existing vertical space. Stacks of up to 2X Coaters & Developers, or 4X HPO / CP Combinations per modular slot in the P9000. 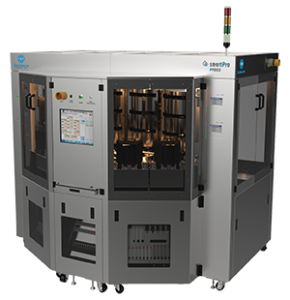 Combination HPO / CP modules allow for quicker time between baking and controlled temperature cooldown. 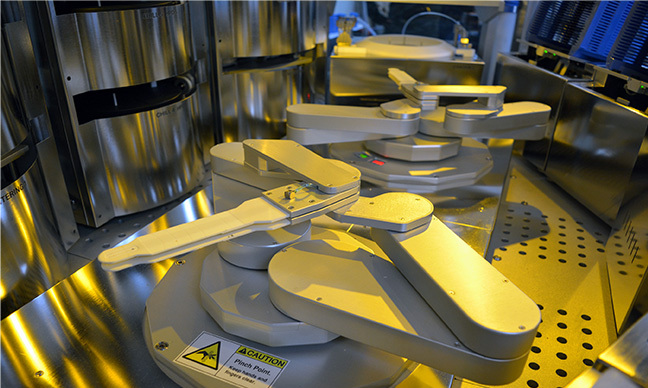 The Chill Plate acts as a loading and unloading station for the HPO, each module with its own individual arm to shuttle wafers back and forth. 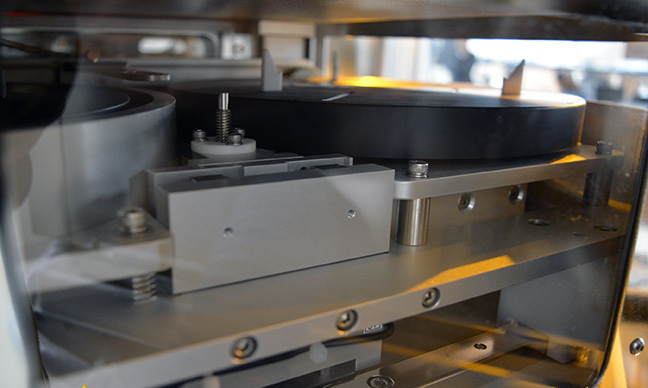 Customized Cassette Indexer Platforms allow of simultaneous processing of up to 3 different sizes of wafer cassettes.